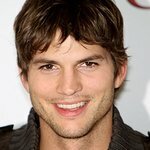 Actor Ashton Kutcher yesterday used his official Twitter site to encourage people to support World Malaria Day on April 25. He also used his official MySpace blog to promote the cause: "On World Malaria Day, we plan to rally the Twitter community to Tweet in support of Malaria prevention and treatment, by asking our followers to go to the Malaria No More Website to learn about how to help end malaria deaths in Africa. “Supporting World Malaria Day on Twitter is designed to be very simple. Our goal is to secure participation from the Twitter community, to Tweet the following message on Saturday, April 25, 2009: ‘Every 30 seconds a child dies from Malaria. Nets save lives. Support World Malaria Day’. “By way of background, Malaria No More is determined to end malaria deaths in Africa. Malaria No More uses breakthrough communications, global advocacy and smart investments to advance the goals of providing universal access to malaria interventions by the end of 2010 and ending deaths by 2015. Every 30 seconds – the time it takes to send and receive a Tweet – a child dies from malaria, but a simple mosquito net can save lives. World Malaria Day is an opportunity to raise awareness of the plight of the millions of people living in Malarial areas, their lives heavily impacted by this terrible but preventable disease.